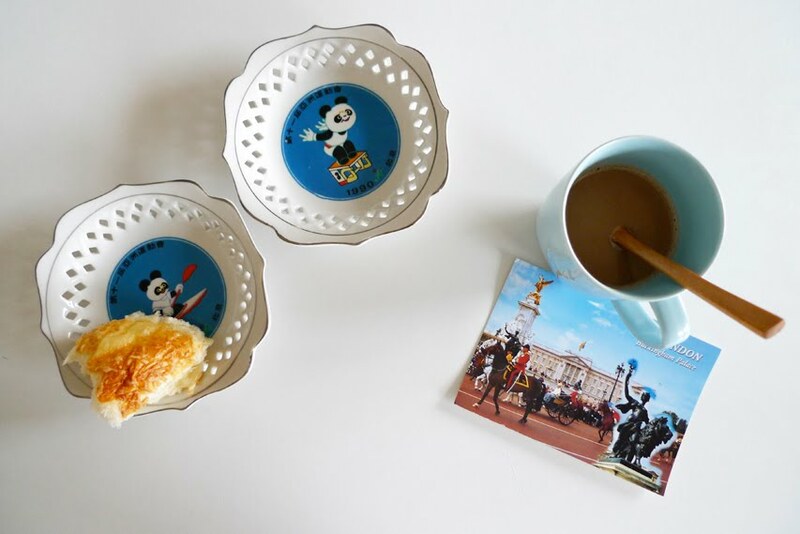 Cute panda plates from Shanghai, it reads: 11th Asian Games, 1990 Beijing. Mug from ikea Singapore. Postcard from London. When was the last time you receive a physical postcard? i love handwritten cards, letters etc., sadly, it’s mostly ecards nowadays. ooo...nice plates! i didnt know you bought these! cute!